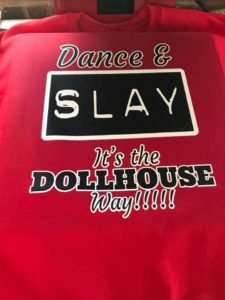 Whats New at Dollhouse 3 Stone Mountain? Bring It! Buck Or Die! We are so excited to have over 250 students enrolled in our amazing program!!! Our students are amazing and already thriving!!!! Wanna join the Stone Mountain family?? Sign our waiting list daily from 2-5 pm. For information about the studio Call 770-265-1111 and ask for Starr or J’Lessa. Our amazing Staff of 8 are happy to assist you in all of your dance needs!!!!!! THE DOLLHOUSE PRO SHOP is open daily 2-8:30!!! Stop in and shop til you drop and grab these sales!!!! More is offered inside of our stores than online!